November is Native American Heritage Month. In the spirit of things, let me present a couple blog posts discussing Indigenous Peoples in Genre Fiction. Thank you again to Deborah Pless for arranging the POP! 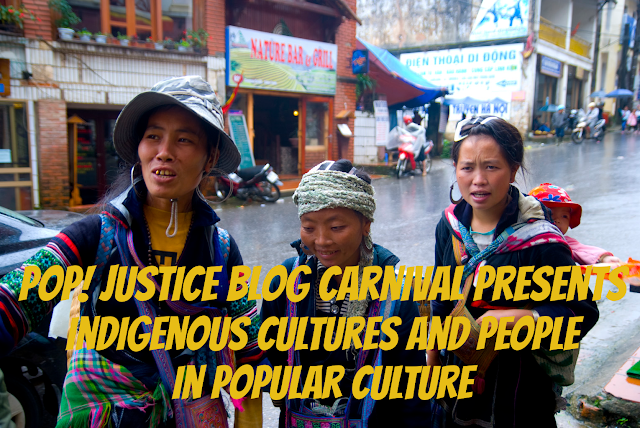 Justice Blog Carnival, which takes a moment each month to examine social justice issues in the pop culture world. Mohanalakshmi Rajakumar submitted "a book trailer and also a post about Hinduism, related to my latest book, AN UNLIKELY GODDESS." To check out next month's theme and call for submissions check www.kissmywonderwoman.blogspot.com.